We couldn't be more excited to be hosting young leaders at our upcoming 2018 KindnessCollective. Please meet a few of our incredible youth. More to come. Morgan Guess is a fourteen year old from Kentucky, who has taken an unbelievable public stand against bullying through the Guess Anti-Bullying Fund. Read all about her and her kindness in action here. 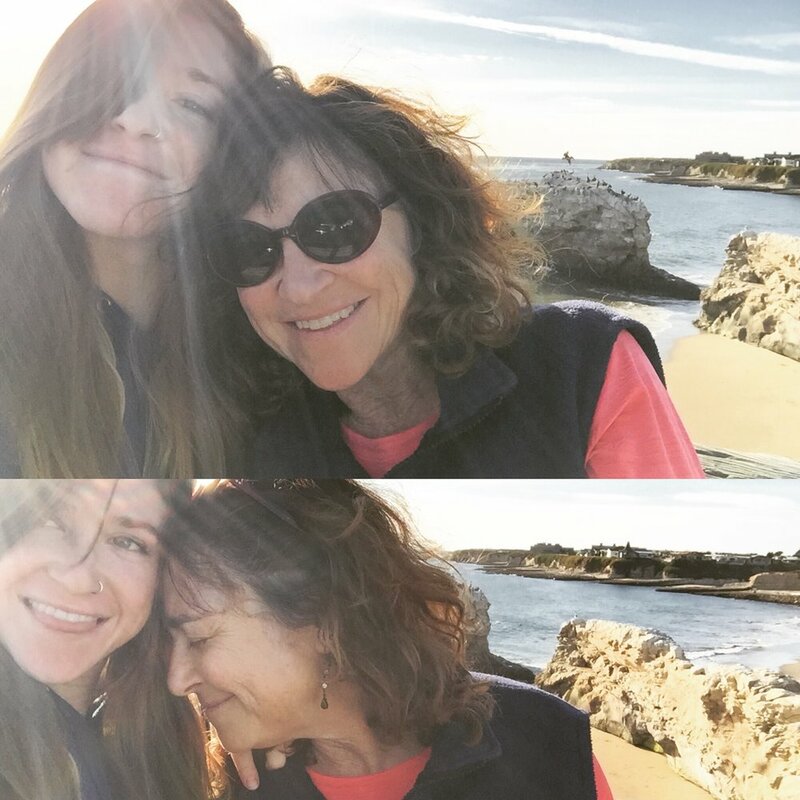 Morgan and her mom, Susan started the Guess Anti-Bullying foundation and have become nationally recognized for their work. The two were appointed by Kentucky Governor Steve Beshear to a statewide task force to study youth bullying. Morgan was invited by Gov. Beshear to speak at the press conference and later she was selected by the 26 member task force to be their spokesperson to lobby for a bill to finally define bullying in her state. Morgan testified before the legislature and joined now Governor Matt Bevin to sign Senate Bill 228 into law. The definition now protects all 640,000 Kentucky public school students. Morgan is a youth leader in ACTION! 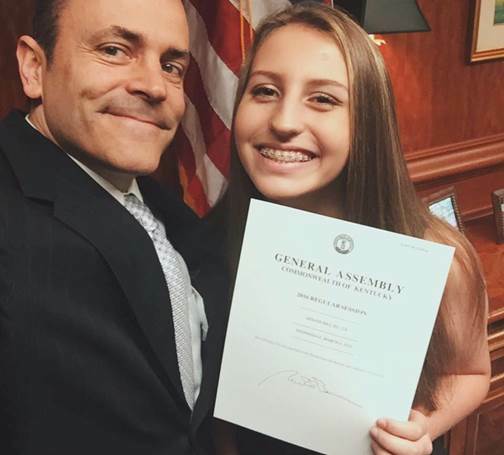 Morgan Guess with Kentucky Governor, Matt Bevin, signing Senate Bill 228 into law. Morgan on a statewide television network speaking about anti-bullying. Alyssa Antoci, an accomplished fifteen year old activist and published author, wrote the The Purple Marble when she was just eight-and-a-half years old. The Purple Marble addresses the debilitating effects of bullying and the ways that the cycle of bullying can be addressed and changed. Her self-published book is is already in more than two-hundred schools, libraries, and book stores. She hopes that number will continue to grow so that more school teachers have a way of introducing and shaping the difficult conversation around bullying in schools. Alyssa co-founded the non-profit organization, Strength Behind Stars, the mission of which is to "build kinder schools by promoting tolerance, respect and self-esteem by changing the culture so that kindness becomes the new norm in our schools. "Alyssa travels throughout California speaking about her book and promoting kindness among peers and all over the school-landscape, and is currently working on a young adult novel. Learn more about her organization here, and about her latest coverage in the news here. Kyle Trefny is a 15-year-old attending the Ruth Asawa School of the Arts in San Francisco, where he is the Sustainability Director for his school's student government and a co-founder of the Environmental Club. 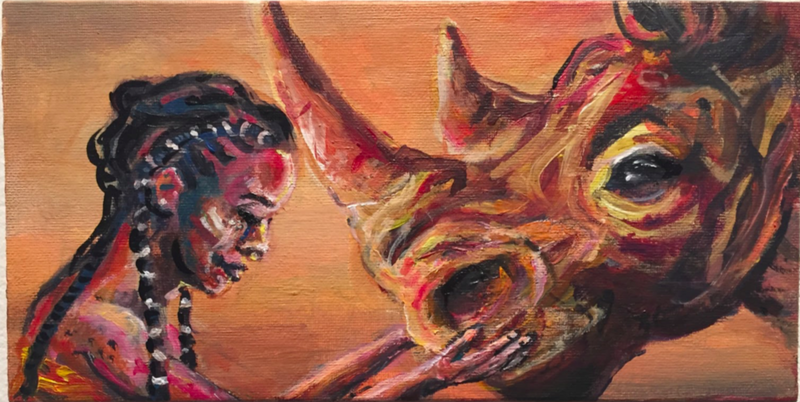 He has an incredible passion for animals and conservation, and he uses his prodigal artistic abilities to make important statements about endangered species, donating all proceeds from his art to this cause. Just listen to his own inspiring words below and you'll understood why we're so excited to include him at the Collective. "With my artwork, I hope to reveal the empathy in our hearts and the hope and change that together we can bring this to our planet." Learn more about Kyle here. "Through creating art, I seek to share a message: we must connect to the beings in our natural world. This connection is rooted in curiosity, in finding the inner child and exploring. My artwork features young people and animals, together in the fabric between dream and reality that childhood weaves. I focus on forming emotions and understanding not only between the subjects in my work, but between viewers and my creations. Human-caused disappearance of wildlife, in particular the snow leopard, is a particular theme in my life. 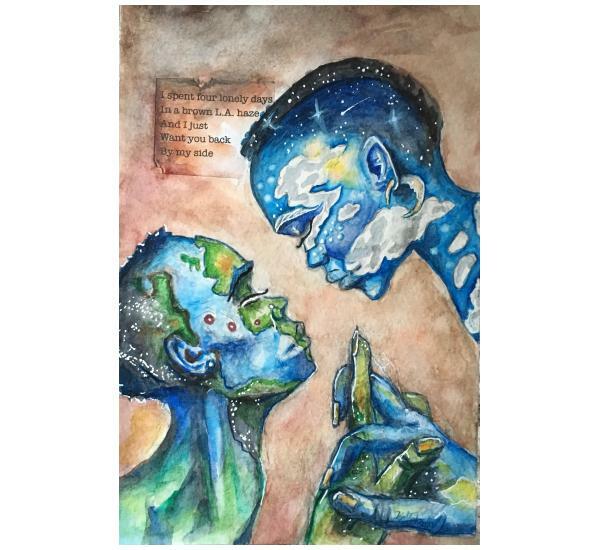 With my artwork, I hope to reveal the empathy in our hearts and the hope and change that together we can bring to our planet." Samantha is a Colorado College senior, majoring in film and media and minoring in feminist and gender studies. What has given Samantha an incredible outlook on life is her self-funded travels exploring the world. She has spent time in Thailand, Laos, Indonesia, Costa Rica, Guatemala, Peru, and Israel, widening her perspectives on people and the world. Samantha is the sports editor for her college newspaper and has been a running track all four years of her academic career, most recently tying and breaking 2 school records. Samantha is graduating in May. Her thesis film explored the perspectives on death and dying and the importance of the present moment. 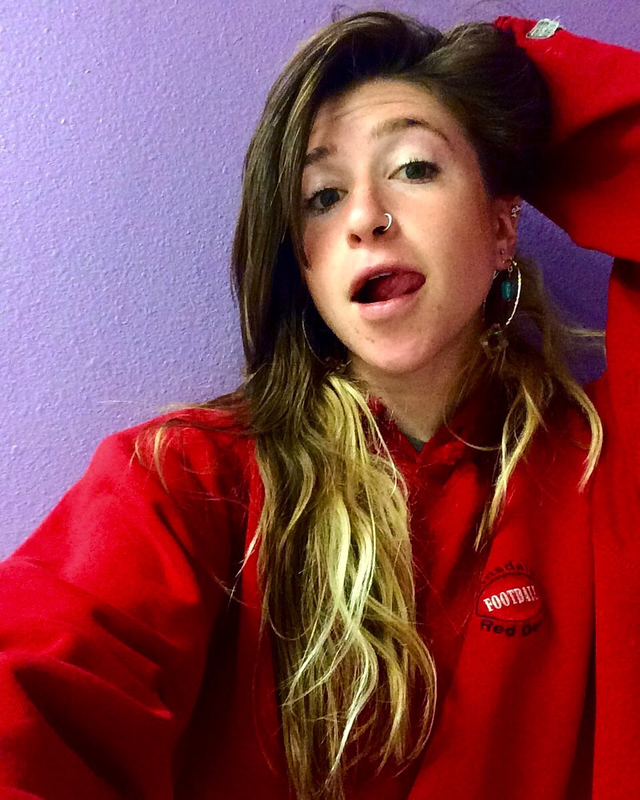 Samantha is passionate about human connection, empathic relationships, and spreading love and light on her path, and we're happy to have her voice at the collective. Angel Padillai is 18 years old and lives in the Mission District of San Francisco. On behalf of his school, he has been to the People of Color Conference (POCC) and has gained valuable perspective and understanding. 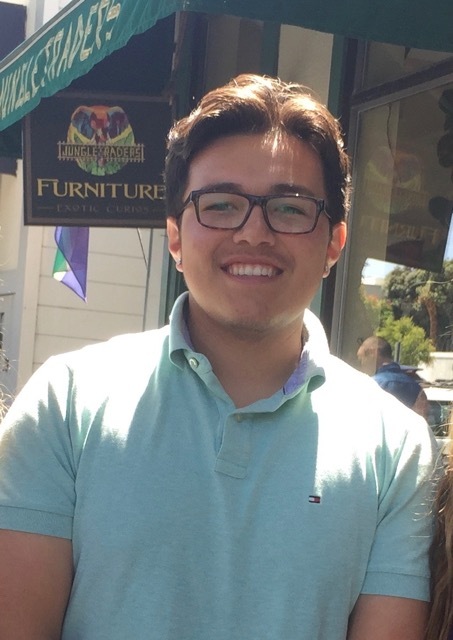 He is currently in Justice class and does a service internship at Mission Dolores Academy in SF, giving back to where he went to elementary school. He also volunteers a great deal of time at Breakthrough SF and has been recognized for his dedication to that organization. This fall, he will be attending Boston University, and has been invited into the Posse program. Founded in 1989, the Posse Foundation identifies public high school students with extraordinary academic and leadership potential that may be overlooked by traditional college selection processes. BU selects scholars from two Posse Foundation locations; Posse Atlanta and Posse Bay Area. Danny is class president of Half Moon Bay High School. She is a member of the leadership class and the students sit council. She helps with the organizing of various activities around the school that promote spirit, kindness and inclusion of all. "It was quite the experience! I enjoy meeting new people and interacting with others, so this was a lot of fun. Going in I expected that it would be a typical meeting setting, but it was actually an easy-going, and interactive environment which was a welcome surprise. What I took away from it was a feeling of empowerment, it feels good to know that there are more people out who are willing to work with youth to tackle today's problems." We were thrilled to have a local representative from Half Moon Bay, where we held the 2018 Collective. The Kindness Evolution is a fiscally sponsored project of MarinLink, a California nonprofit corporation exempt from federal tax under section 501(c)(3) of the Internal Revenue Service #20-0879422.